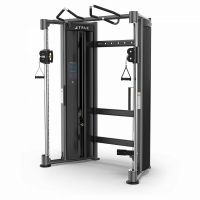 The Functional Trainer encompasses fully-shrouded weight stacks to provide increased safety, as well as premium aesthetics. 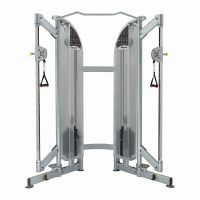 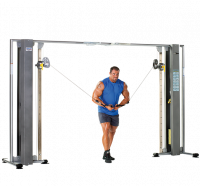 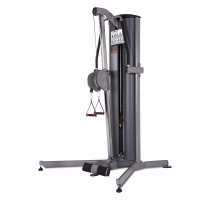 The premium commercial-quality XFT-900 Functional Trainer provides dozens of upper and lower body exercises, with unique vertical adjustment columns that rotate 360 degrees to allow unrestricted movement in multiple planes. 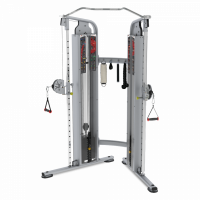 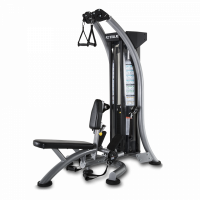 Provide your members with dozens of upper and lower body exercises with the premium FT-900 functional trainer. 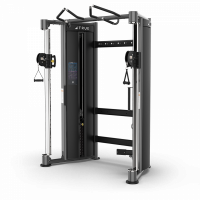 With commercial quality construction and premium aesthetics, the FS-100 is the perfect choice for hotels and resorts, corporate fitness centers, police and fire agencies, apartment and condominium complexes, personal training studios or any facility where space and budget are limited. 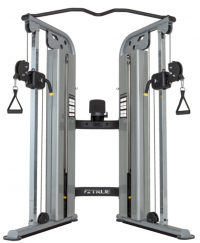 Dual 15-position pulley columns allow single or dual exercise options. 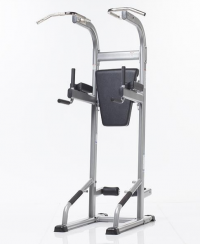 Swivel handles provide free and natural movement.